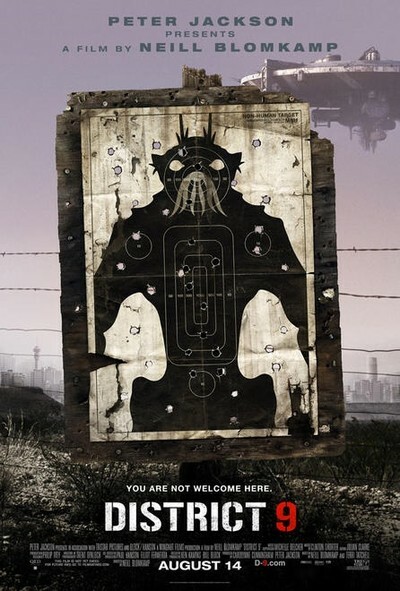 District 9, one of the best films of 2009 and scores to be the best of the best. why? because the storyline was both unpredictabley original, the characters and actors did their thing perfectley, the plot is interesting, the movie is filmed like a documentary and so on. when i watched this movie i freaking shaked, i didn't wan't to leave my seat sence it was very exciting, ufortunatley i can't tell you more scence you'd be pissed if i was spoiling anything. Screw the old ones i have rules! You wan't a question? here's one: Heyyyy how's it going?